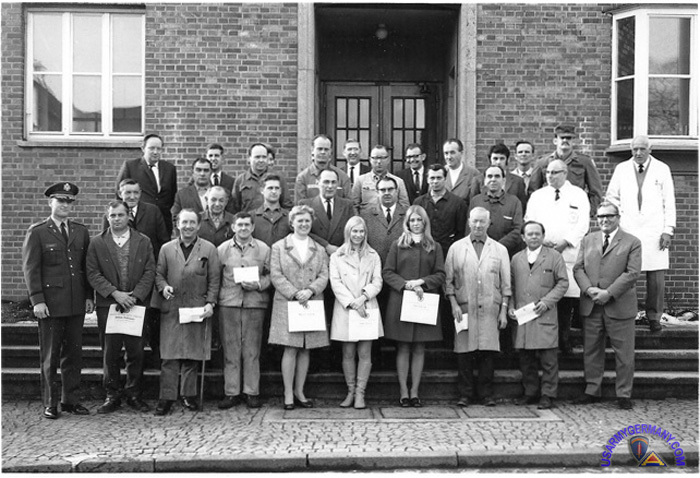 Picture taken in 1970 at Schwaebisch Gmuend Maintenance Plant. 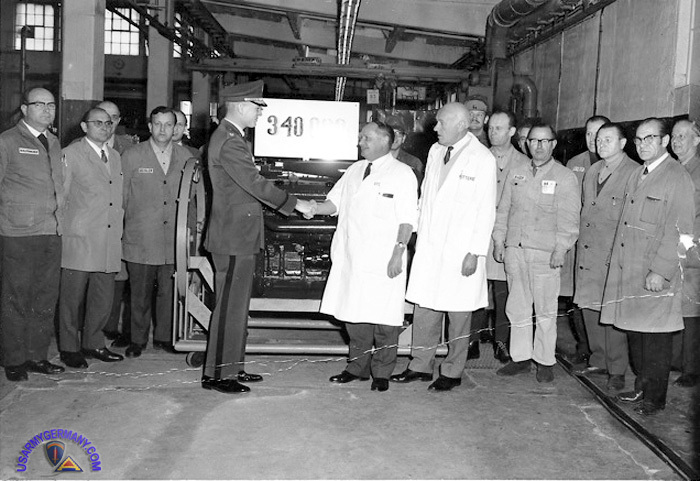 Shows the CDR, LTC Jack Leach congratulating Herr Otto Stohrer, Production Supervisor on the completion of our 340,000 major assembly. Looking on (other white coat) is Mr. Adolph (Vic) Mitterer, Director of Maintenance. That's me in Captain's bars behind Vic.